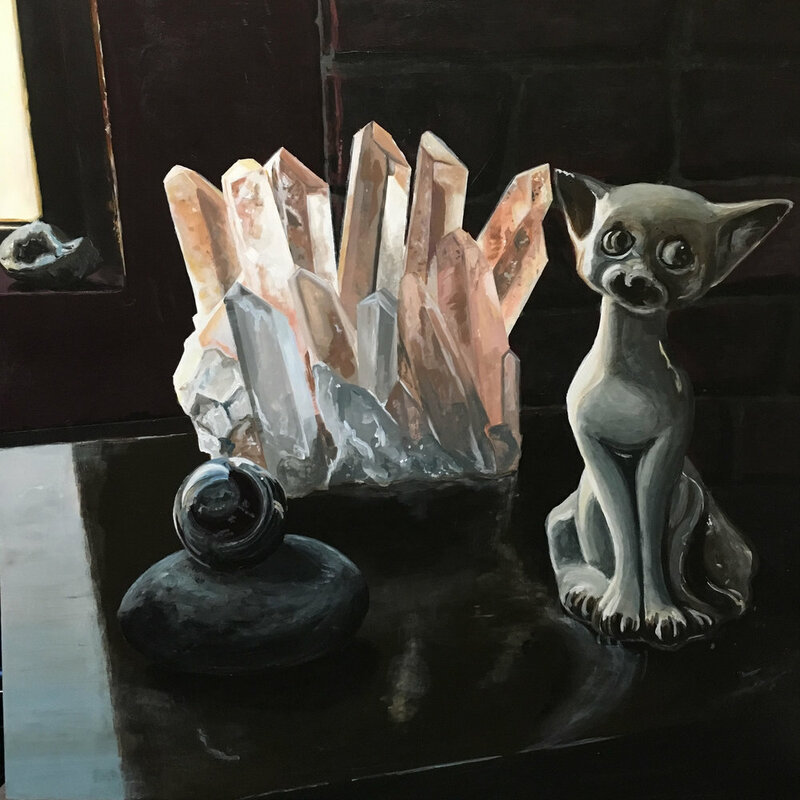 As a traveling behavioral consultant and public school Kindergarten teacher, the home environment has become increasingly more important in my life. 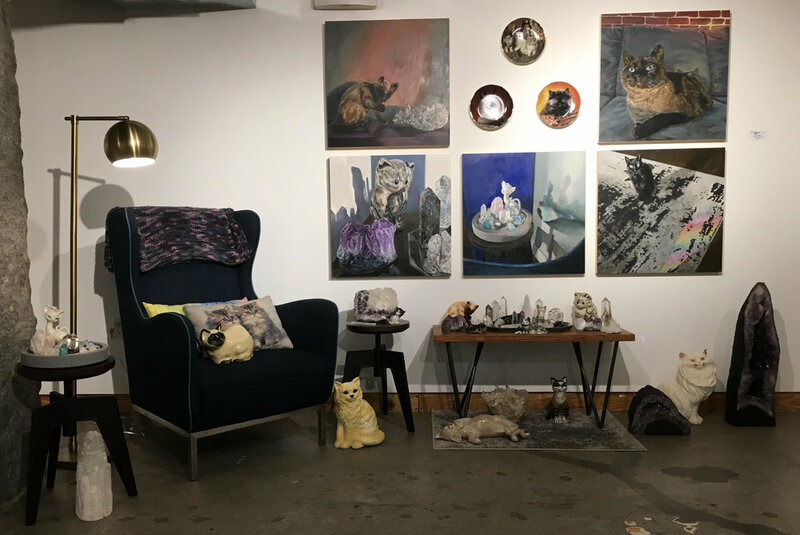 The need for quiet stillness has motivated me to curate a home filled with objects of importance, that when viewed together, address repetition and order. 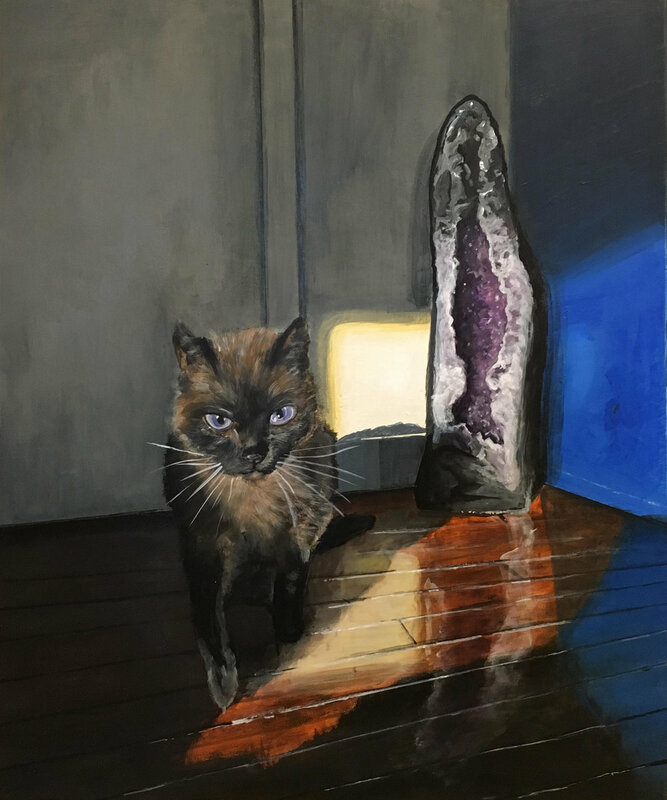 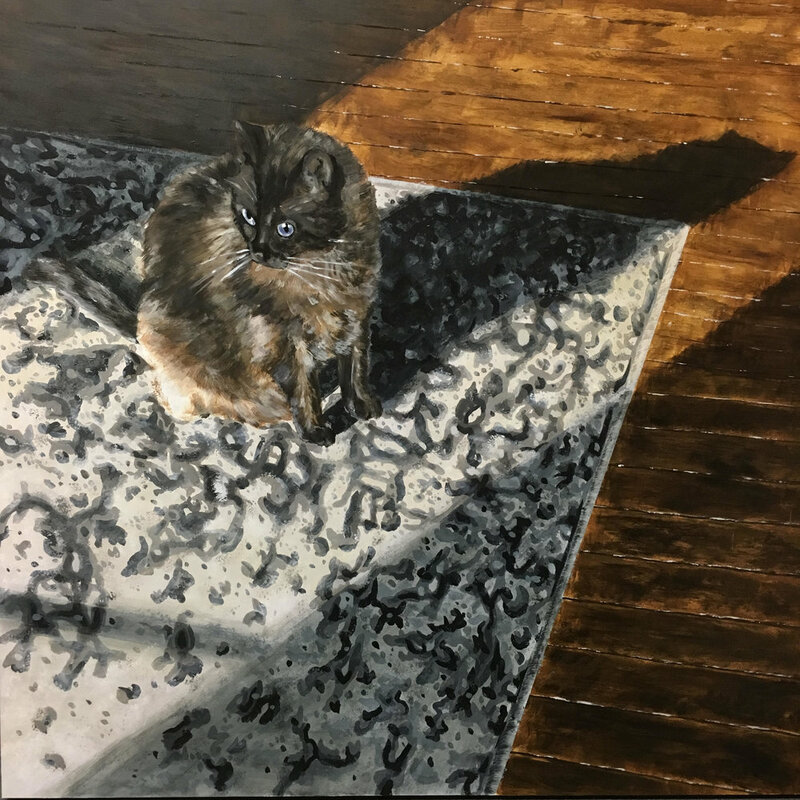 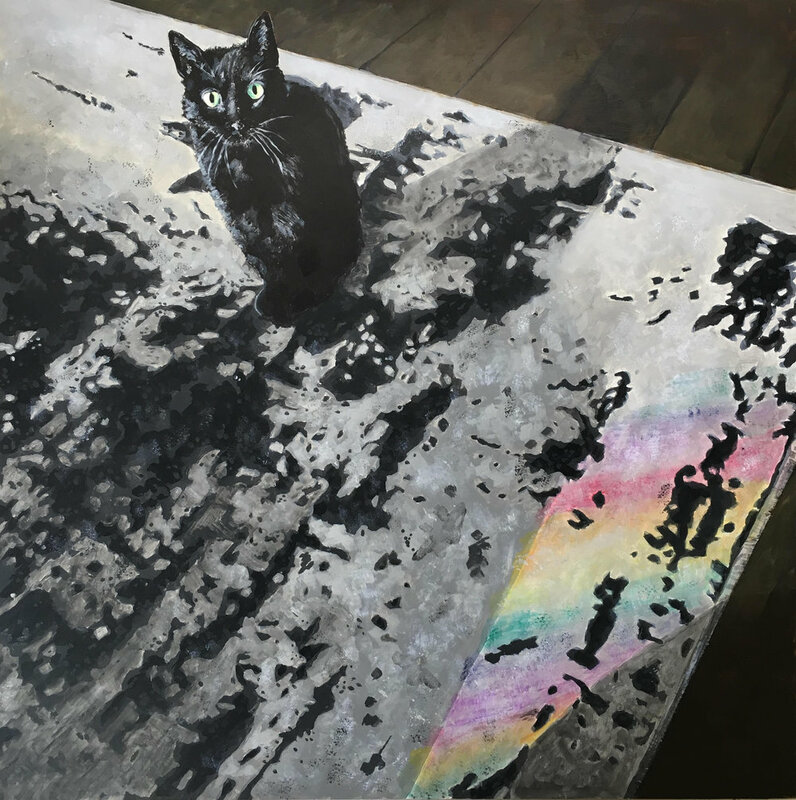 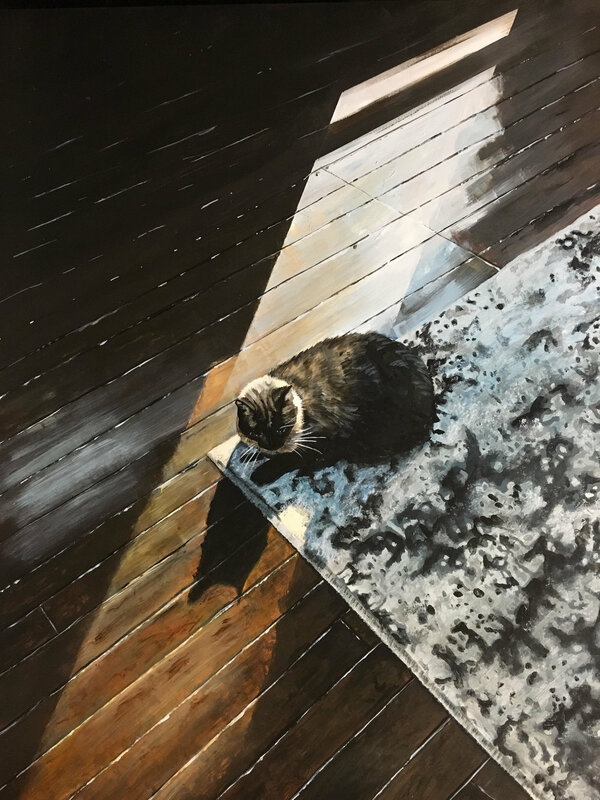 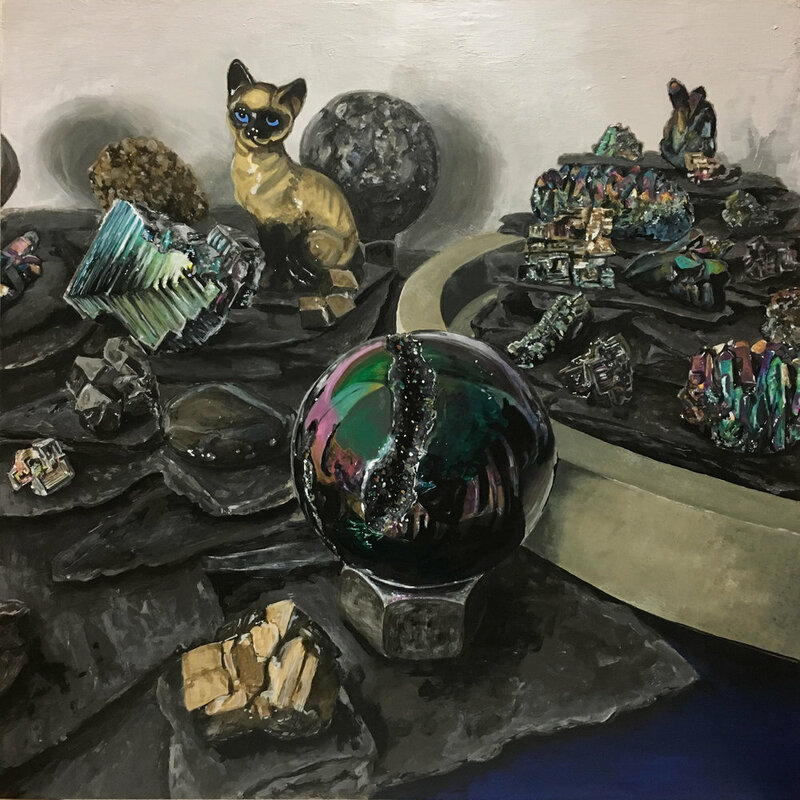 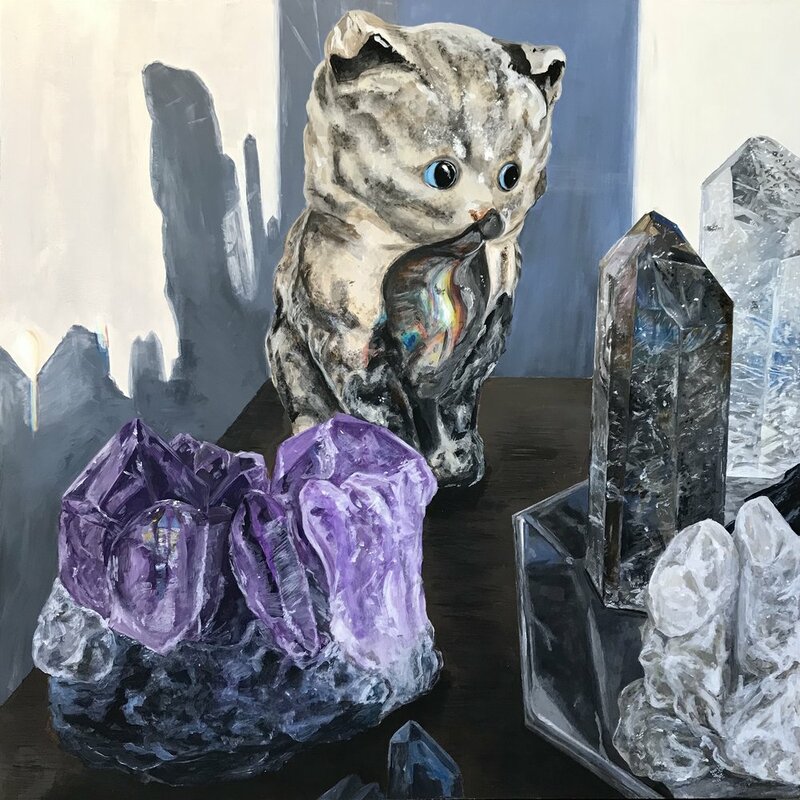 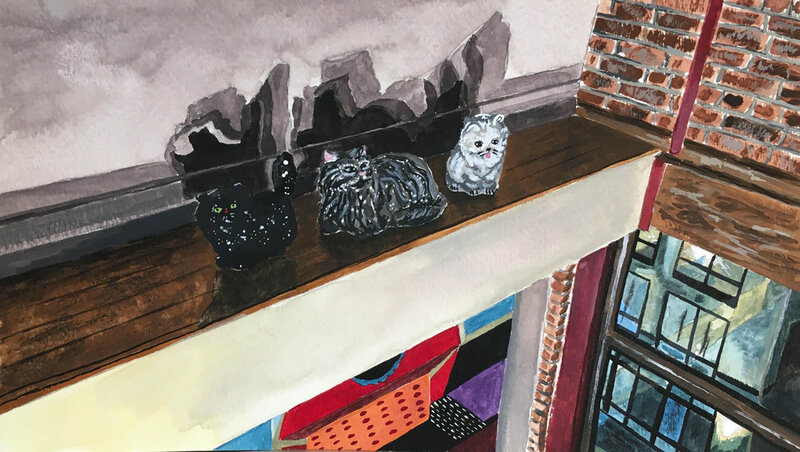 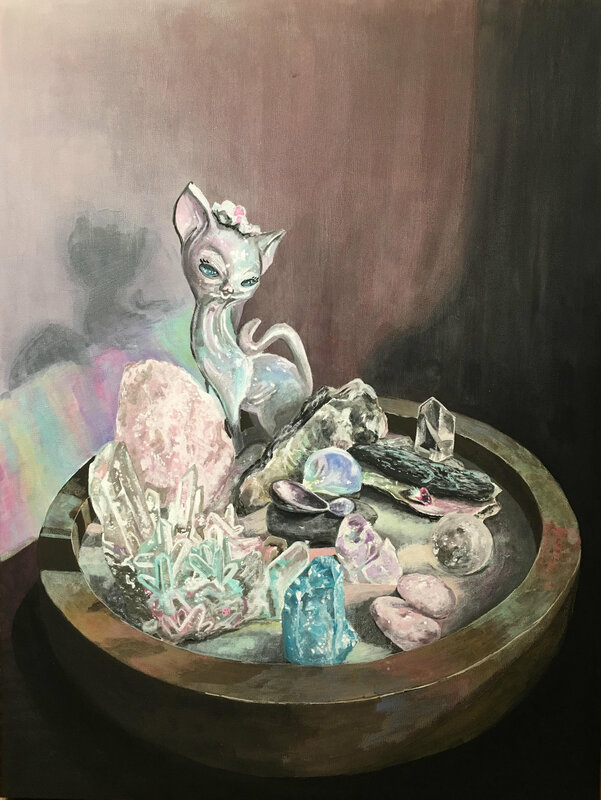 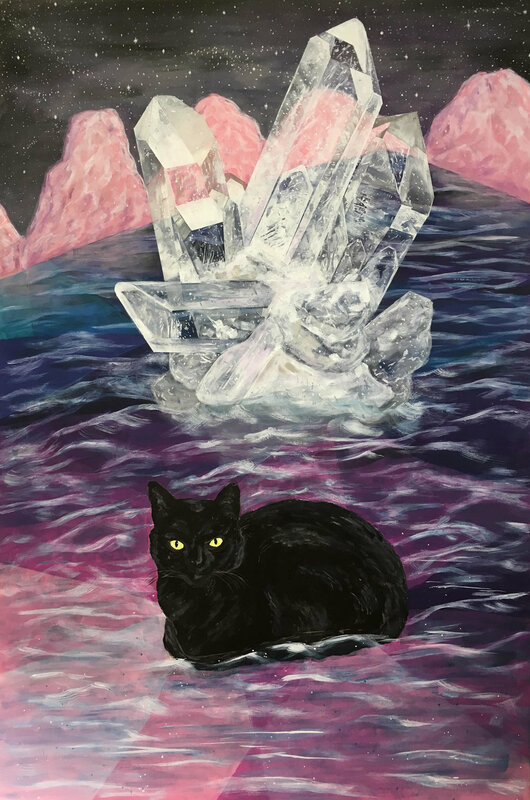 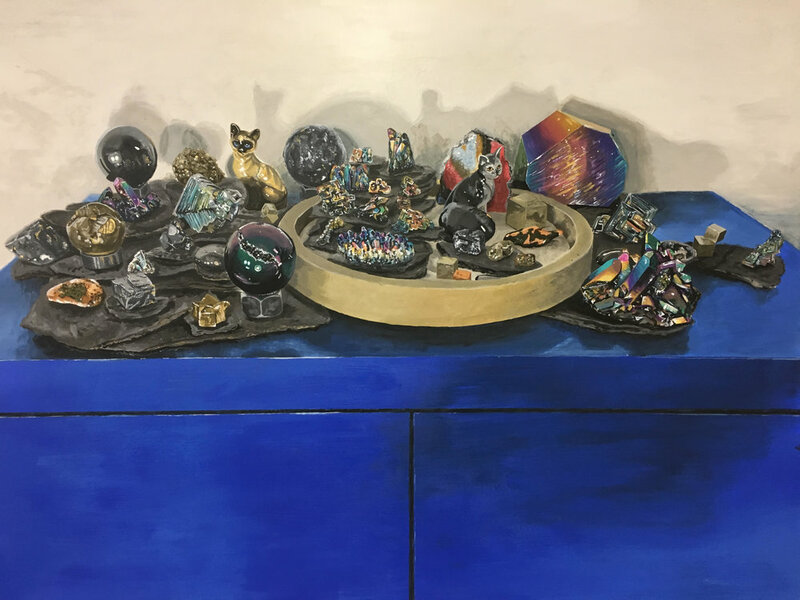 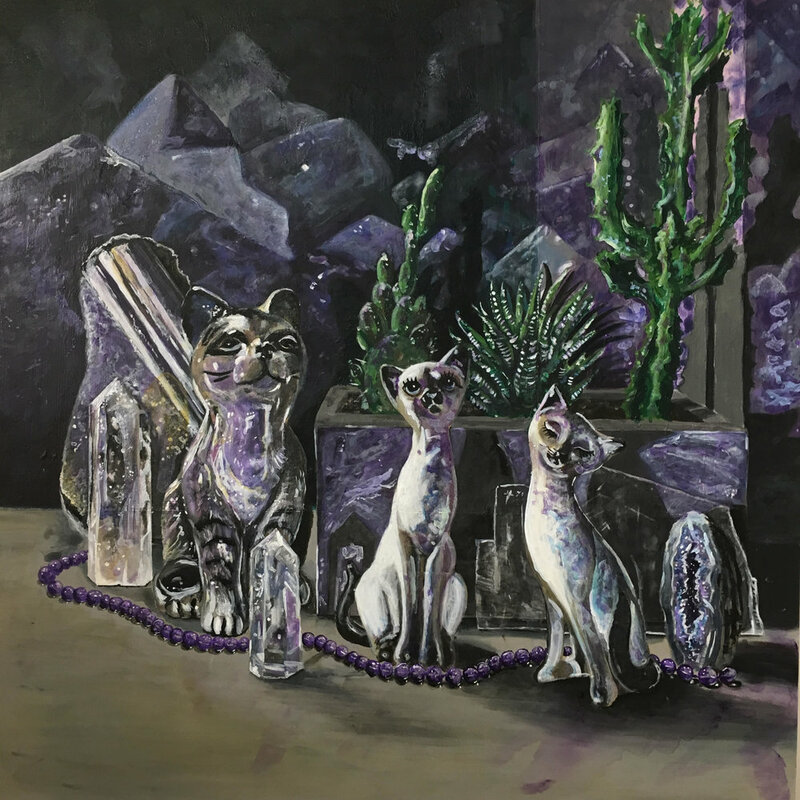 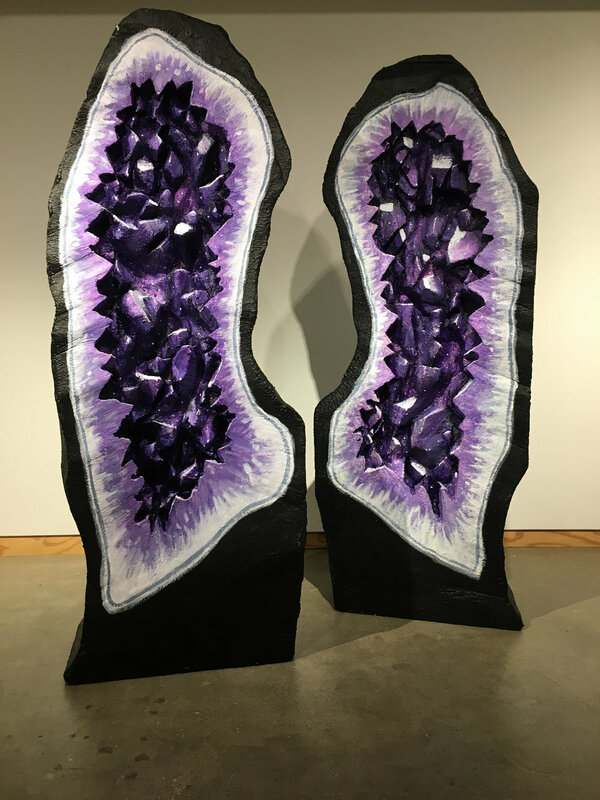 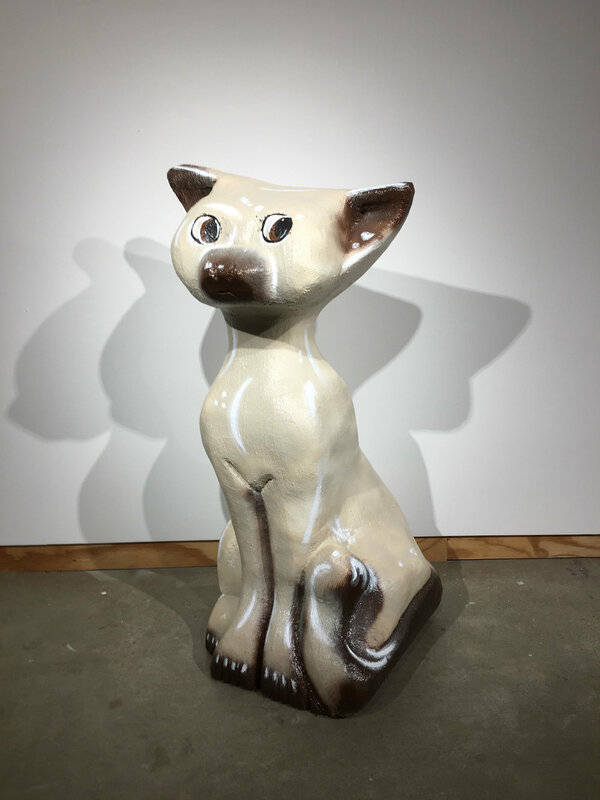 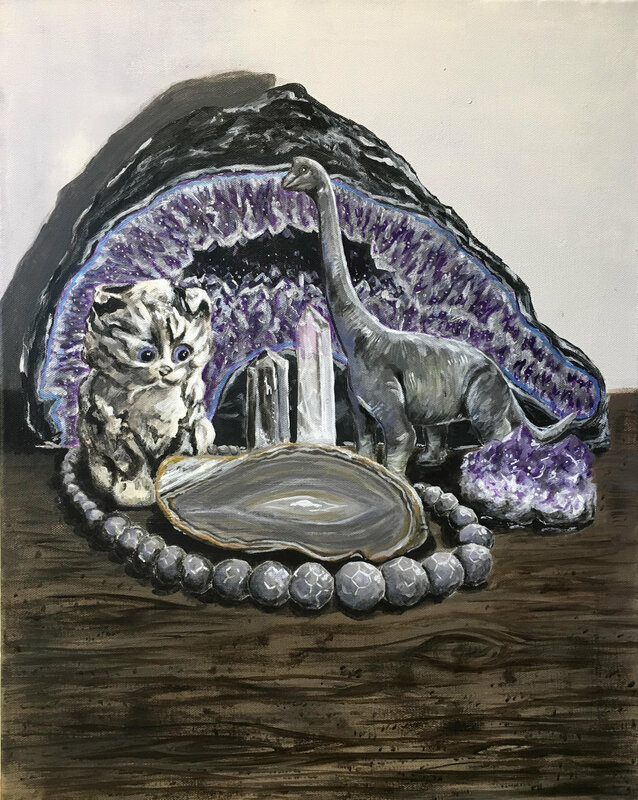 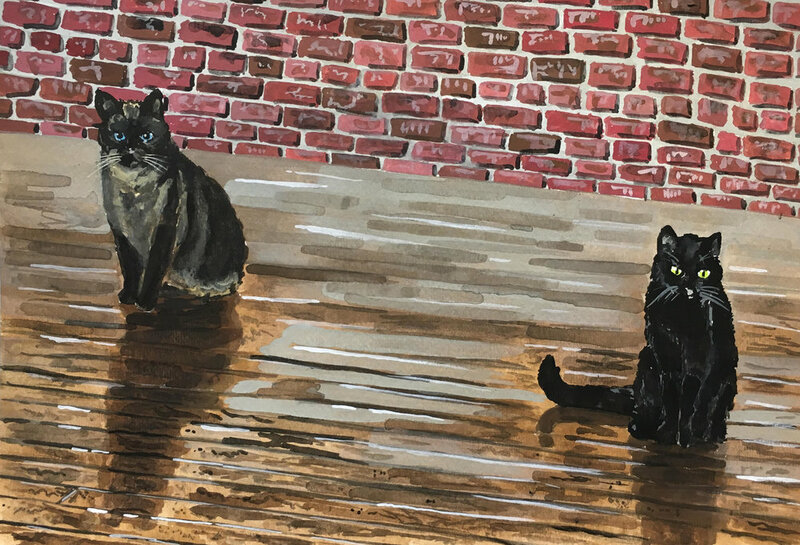 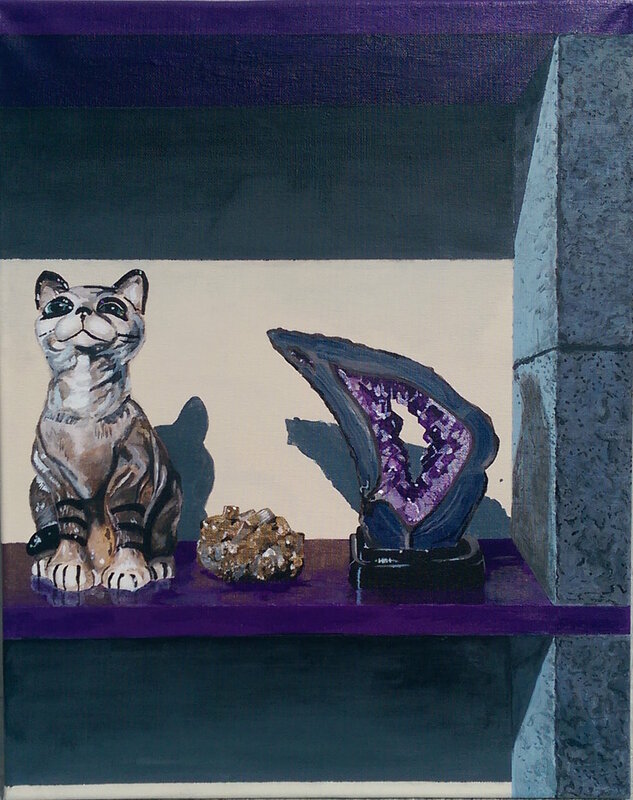 My paintings focus on the positive energy associated with the crystals and minerals I collect, and incorporate my specific interest in cats in the forms of accumulated knick-knacks and the depictions of my two companion animals.